In 2019 many people are using Reliance Jio services and jio user base is increasing day by day. We all know that when we buy a jio sim card, it does not show your mobile number on it’s package. Whenever you buy a jio sim card, You will be allotted with a random jio number. There is always a problem with new jio user’s that they do not find their jio number or their number gets missing. So, How to know my jio number if it get’s missing ? well! there are few way’s to know your jio number that we are going to discuss in this article. How to know my Jio number ? Below i’m going to show you few different method’s to know your jio number. We will start with some easiest method’s that will work for you if your jio sim card is activated. then we will proceed with some alternative methods to know your jio number in case your card is not activated yet. Okay so, let’s start. Go to the Play Store and download MyJio app. (If you already have downloaded JioMusic app you can skip this step). Once Installed, Open MyJio app and click Proceed button. (By clicking proceed button you will be signed in to your jio number automatically). Now you can see you Jio number on your Screen. Send a SMS from your Jio number Myplan to 199 and you will recieve a message containing your Jio number and some other account details. 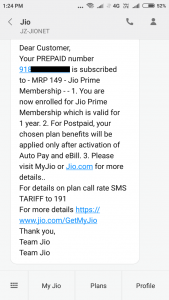 Method 3: How to know my jio mobile number if sim card is not activated yet ? In case your sim card is not yet activated or your sim card is broken, this method will work well for you. Sign up with any mobile number you want (You can also sign up with your friend’s phone number). 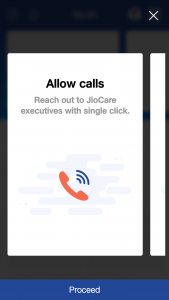 Go to JioCare and discuss your issue with jiocare executive. 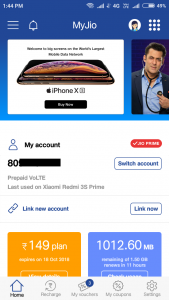 Send the details asked by jiocare executive and they will let you know your jio number. 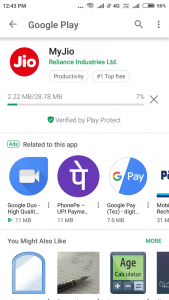 Thanks for reading my article about How to know my jio number, If this article helped you in any way, please leave a like below or share this article on your social media accounts. You can also read my another article about How to set caller tune in jio and how to delete naukri account. What is avast behavior shield and How to disable it.